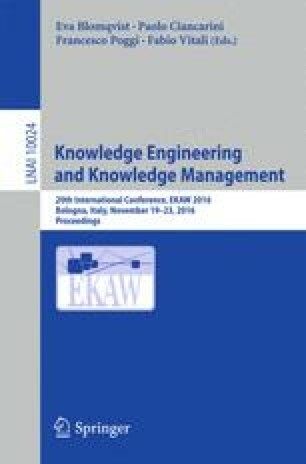 The paper presents an approach to extract knowledge from large text corpora, in particular knowledge that facilitates object manipulation by embodied intelligent systems that need to act in the world. As a first step, our goal is to extract the prototypical location of given objects from text corpora. We approach this task by calculating relatedness scores for objects and locations using techniques from distributional semantics. We empirically compare different methods for representing locations and objects as vectors in some geometric space, and we evaluate them with respect to a crowd-sourced gold standard in which human subjects had to rate the prototypicality of a location given an object. By applying the proposed framework on DBpedia, we are able to build a knowledge base of 931 high confidence object-locations relations in a fully automatic fashion (The work in this paper is partially funded by the ALOOF project (CHIST-ERA program)).